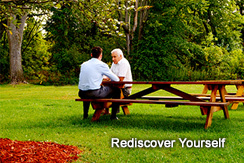 Freedom Model Retreats has the perfect option for you if you believe you need inpatient alcohol rehab. There are many reasons why people turn to alcohol. Curiosity is one of the most common. Some people drink due to boredom, they may think it is daring and exciting, due to peer pressure, to fit in or fill normal, to feel more self confident, an escape from problems at home, school, or work, to relax and feel good, ease of access to alcohol, or to kill pain. One of the common things between all of these are that abuse is often caused, leading the person needing help. There are many forms of help, one which includes an Inpatient alcohol rehab. An Inpatient alcohol rehab center is a good choice for those with moderate to severe substance abuse issues. This is especially true for those who have a long history of trying to maintain sobriety. An Alcohol Rehab, though one of the most expensive options, afford the rehab client a structured environment with 24 hour, 7 day a week care from medical staff, usually in a hospital setting. The inpatient alcohol rehabilitation facility in the hospitals have to meet rigorous medical standards in order to achieve licensing that residential rehabilitation facilities or other rehab programs do not have to meet. Rehab clients are generally treated in an inpatient setting for as little as 28 days or for as long as 12 months.An Inpatient alcohol rehab center usually follows the medical model when treating clients. Supervised detox is usually the first step in treatment at the inpatient centers, followed by other forms of structured treatments. Some rehab clients have reported that entering an inpatient alcohol rehab center is a relief from the normal, everyday pressures from family, friends and the workplace and a chance to singularly focus on the recovery issues. Others report that receiving much structure in the initial parts of the recovery process was very beneficial to long-term success. There are common factors that an Inpatient alcohol rehab center and twelve step programs have in common; the need to have a support group readily available and the philosophy that you are powerless over your addiction. An Inpatient alcohol rehab center also uses drug replacement therapy. When choosing a program that will best suite your or your loved ones needs, decide if you want happiness and a life fulfilled with joy or a temporary fix away from the problems.